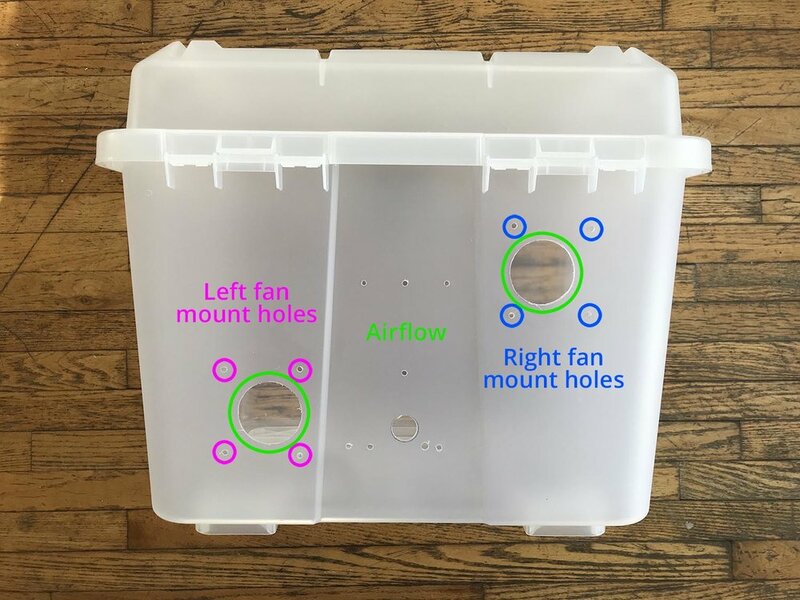 Let’s check in with diagram of the fan mounts’ hole set. Time for the fans. You can technically start with the either side, but we had to pick one…so we’re going left. 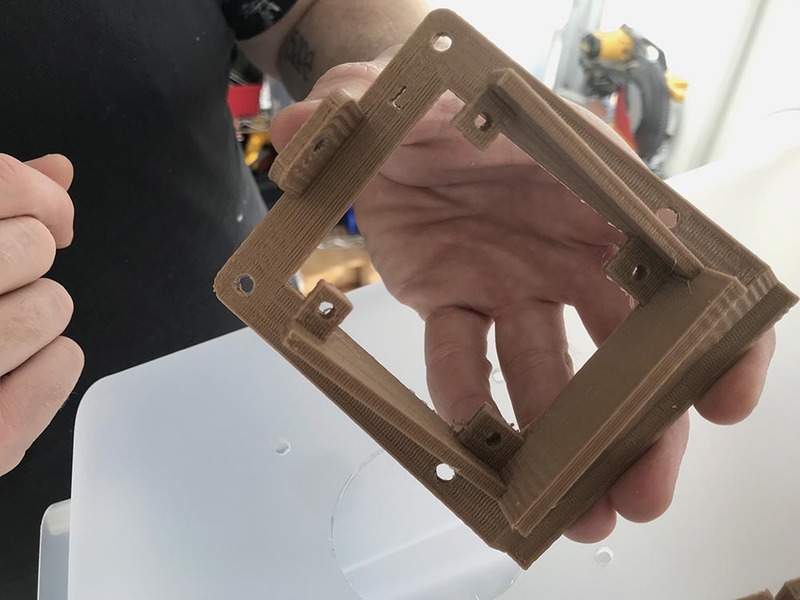 From the components inventory, grab the fan mount the has the ‘L’ printed into it. When you’re looking at the part, you’ll see a depressed wing on the right side. This slides under and sits into the raised bit on the lower left side of the chassis. Slide that wing into place. 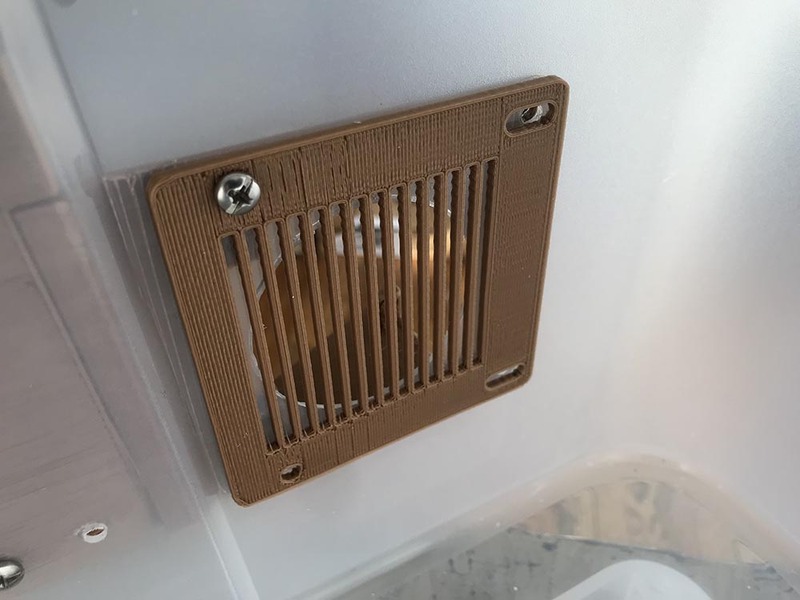 Grab one of the internal fan covers and place it on the inside of the enclosure. Once in place, lay the mount flat. Then line up the mount with the holes in the enclosure and the internal fan cover. Place four #8-32 1/2” machine screws in the four holes from the inside out. 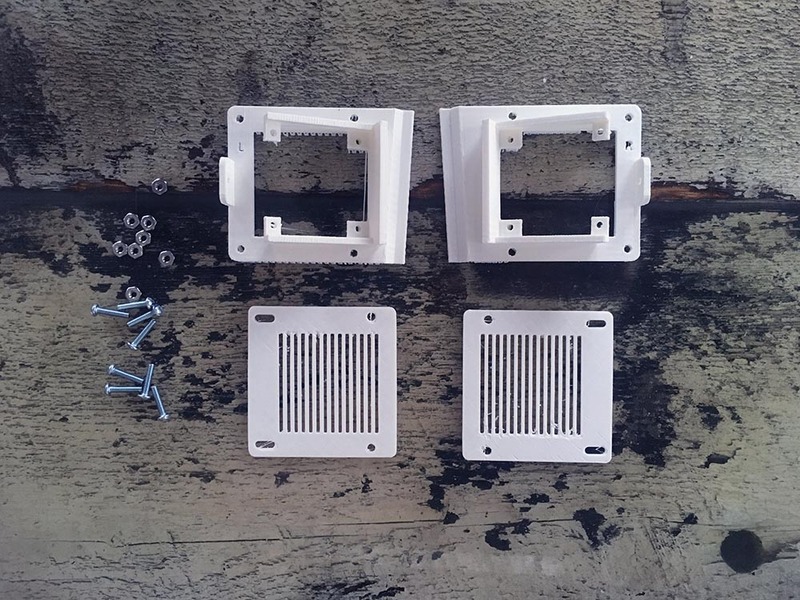 It should go through the fan cover, the enclosure and then through the fan mount on the back side. Once all the machine screws are in place, tighten them all down with four #8-32 nuts. *No need to He-Man crank it down. Over-tightening may crack the 3D print, and we’re going to unscrew these in the next section anyhow. Now we’re going to do the same thing on the right side. You’ll need the right fan mount. You know the drill. Tighten it down snug. 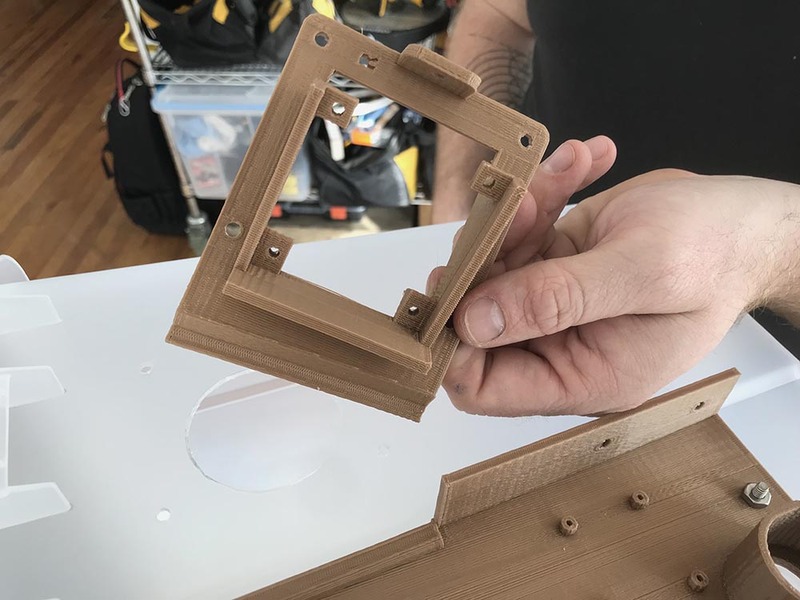 Now let’s take a step back and mount the sensor.